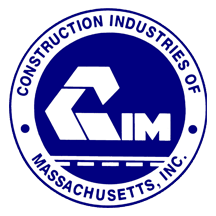 CONSTRUCTION INDUSTRIES OF MASSACHUSETTS (CIM) is an association representing all aspects of the transportation and public works construction industry in Massachusetts. Founded in 1921, CIM is one of the most active and effective construction trade organizations in the nation and has been working hard to advance the growth of the industry for more than 90 years. Utility Contractors Association of New England (UCANE) Established in 1954, UCANE is comprised of over 250 major contractors and associated businessmen and women who perform underground utility construction projects (water, sewer, electrical, gas, fiber optics, etc.) primarily in Massachusetts and throughout New England. Massachusetts Aggregate and Asphalt Pavement Association (MAAPA) ) is an association representing the owners and operators of Hot Mix batching plants and quarries throughout Massachusetts. The American Public Works Association (APWA) serves professionals in all aspects of public works. With a worldwide membership more than 30,000 strong, APWA includes not only personnel from local, county, state/province, and federal agencies, but also private sector personnel who supply products and services to those professionals. 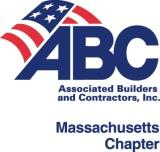 The Massachusetts Chapter of Associated Builders and Contractors The Massachusetts Chapter of Associated Builders and Contractors is the largest construction trade association in the Commonwealth, representing over 400 local general contractor, subcontractor, supplier and associate companies. These companies employ more than 22,000 workers throughout Massachusetts. The Northeast Builders & Remodelers Association of Massachusetts (NEBA) are an association of builders & remodelers as well as associate members representing all aspects of the home building industry including lumber yards, financial institutions, subcontractors, suppliers and the most successful and influential business people in the area.